HCM City (VNA) – Norwegian conductor Magnus Loddgard will conduct both Norwegian and Vietnamese works with cellist Nguyen Tan Anh and soprano Cho Hae Ryong (the Republic of Korea) at a concert with the HCM City Ballet Symphony Orchestra and Opera (HBSO) on October 9. The concert at the Opera House will feature works by Norwegian composers Johan Svendsen, Johan Halvorsen and Edvard Grieg, and Vietnamese composers Nguyen Manh Duy Linh and Vu Viet Anh. It will open with Svendsen’s Norwegian Artists Carnival Op. 14 and Halvorsen’s Entry March of the Boyars, followed by Linh’s Lan gio nhe bay (A Gentle Wind), and Anh’s Chan troi (Skyline), which will present Saigon through the eyes of an artist. The second part of the concert will feature excerpts from Grieg’s Peer Gynt Suite. In 1875, Grieg was asked to write incidental music for Henrik Ibsen’s play Peer Gynt, which is based on a Norwegian fairy tale. In later years, he extracted eight movements from the original 26 movements and created two four-movement suites for orchestra. Peer Gynt Suite instantly became a hit. Loddgard was trained as a pianist and conductor at the Norwegian Academy of Music, and continued his study with leading international conductors. In 2005, he worked as a repetiteur for the Norwegian Opera, and later as assistant conductor with the Kristiansand Symphony Orchestra and Trondheim Symphony Orchestra. 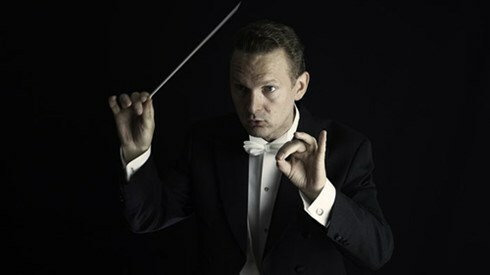 His debut as opera conductor came with a performance of La Bohême in 2009, and since then he has worked with prestigious orchestras such as the Oslo Philharmonic Orchestra, Norwegian State Opera and Kristiansand Symphony Orchestra. Loddgard was a conductor with HBSO for the Tchaikovsky ballet The Nutcracker in 2012 and Mozart’s opera The Magic Flute in 2013 and 2014.